Lee and Lucille Allen were the first family to purchase a Next Step home. Nearly 12 years ago, they purchased a manufactured home through Frontier KY in Rowan County, Kentucky. Lee is originally from Breathitt County, but eventually settled in Wolfe County with his wife, Lucille. They are both talented bluegrass and traditional musicians. Lee served 15 years as a police officer in Breathitt County. Together they have 5 children – all musicians. They have never been happier in their lives than they have in their new home. Since they have both been subject to poor housing conditions and terrible weather, they paid special attention to procuring a sturdy home. 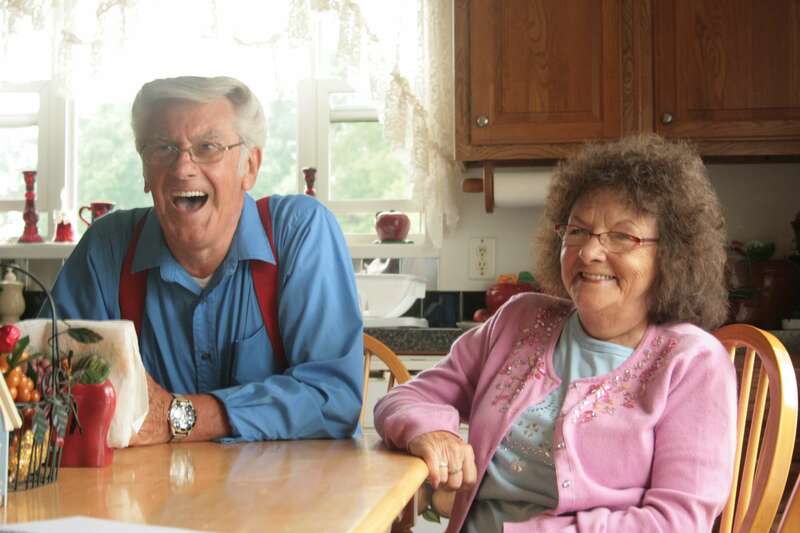 Both are convinced that moving into their new home saved their lives and improved their health – and as the old mobile home they were renting previously had mold and electrical problems. Though Frontier KY, both Lee and Lucille completed homebuyer education classes, which helped them fully understand the process they were going through, as well as more complex processes like insurance, taxes and escrow. With newfound improvements to their mental and physical health, the Allens are thrilled that their home continues to be provide them with accessibility, comfort and stability.